A few months ago, I discovered Wasabi, the London-based Japanese fast casual restaurant chain, just opened its first U.S. location in Times Square. 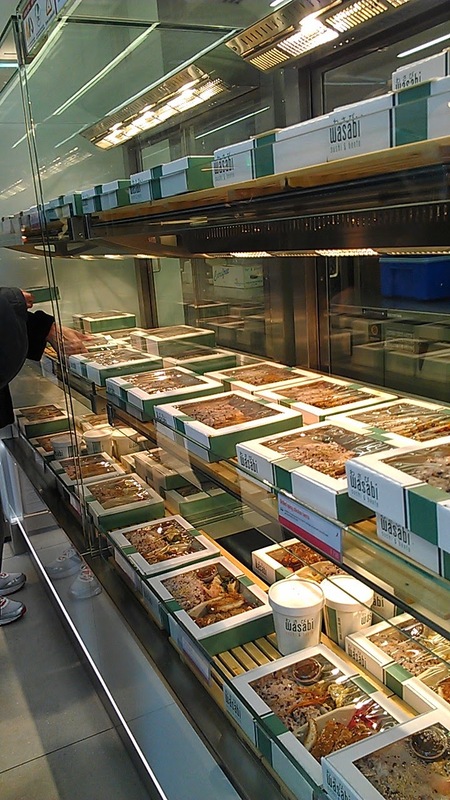 The "Pret" of Japanses food, Wasabi specializes in a wide selection of individually-wrapped sushi and Japanese hot food favorites, including bento boxes and noodle soups, as well as made-to-order salads and special sushi rolls, all made fresh in-store daily. I had to work late the other night, so I decided to stop by for a quick to-go dinner. The first thins I noticed when I walked in was Wasabi’s open, airy space, with clean white lines and pops of bright green - which was a welcome respite from the hectic and often dirty Times Square atmosphere. 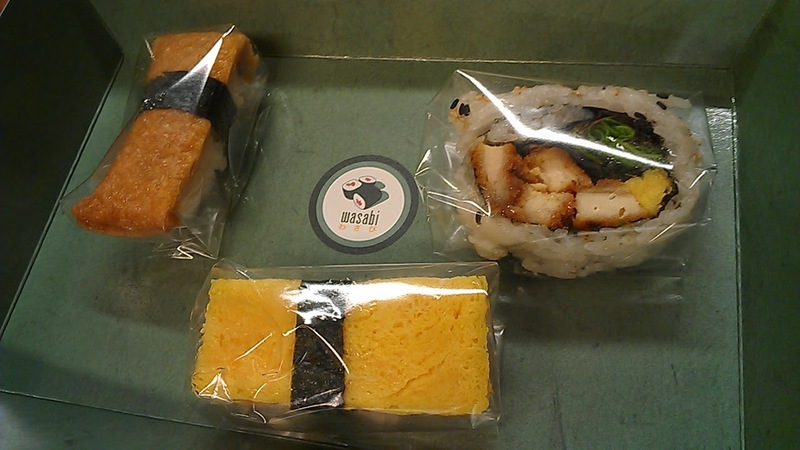 There were several counters that held individually wrapped sushi, bento boxes and drinks for you to pick up. I grabbed a tray and selected a few pieces of neatly wrapped sushi ($1.00 to $1.50 a piece). 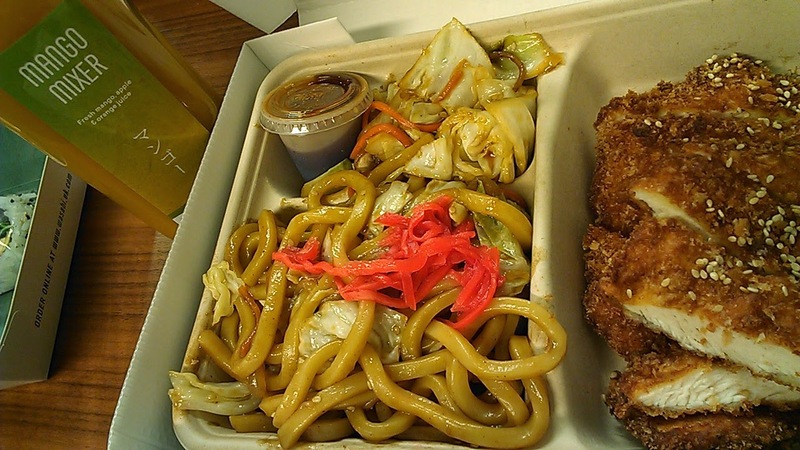 For my main course, I picked up a box of Chicken Katsu Yakisoba ($7.95) and a bottle of their fresh mango juice ($2.95). I liked how the sauce was placed separately in order not to soggy up the fried chicken and the hearty yakisoba noodles were very flavorful and surprisingly not greasy. For less than $20, I had a very filling and tasty meal. Due to all the Times Square traffic, I would advise avoiding the resto during peak meal hours (I arrived around 6:30pm and the place was bustling). Bottom line: Wasabi is a good lunch option and eons better in quality than your typical American fast food joint.